Ashby Jones from the Wall Street Journal's Law Blog flags an interesting discussion in the legal blogosphere from last week: why are instant replays in the NFL and college football subjected to a heightened standard of review? As football fans know, a call on the field is supposed to be overturned after instant replay only if there is "conclusive" or "indisputable" video evidence that the call was wrong. If the video leaves room for debate, the call on the field stands. Law professor Joseph Blocher questions that policy. Why not have plays reviewed (to use legal terminology) de novo, with the call changed to whatever the video suggests is most likely the correct result, even if it's not indisputable? In law, as Blocher notes, heightened review is used primarily when there is reason to believe that the lower decision-maker is in a better position--often for reasons of institutional competence, such as when a trial court makes findings of fact--to make close judgment calls than the reviewer. But that doesn't really seem to be the case in football. Particularly during nationally televised games where there are multiple camera angles, stop-action footage, and close-ups, the reviewer will usually be in better position to make close calls than the referee on the field. So why not give them the authority to overturn calls upon de novo review? 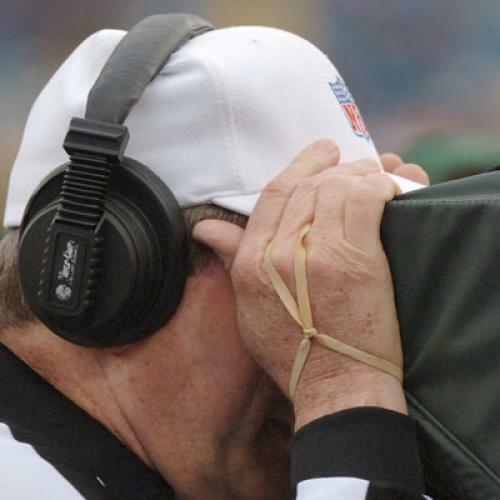 Howard Wasserman suggests that video doesn't actually provide a better or more accurate perspective than referees on the field. That's sometimes true, but for reasons Professor Blocher spells out here, my instinct is to say that video is usually better. Ilya Somin makes the good point that imposing a heightened standard of review makes coaches less likely to issue frivolous challenges (which slow down the game, sometimes to an intolerable pace), but also notes that that seems an unlikely explanation for the policy, since NFL coaches only have a limited number of challenges, which itself provides a strong (though not always strong enough) incentive not to issue frivolous challenges. Plus, the heightened standard of review is also applied in college football, even though challenges there are handled almost entirely by the refereeing crew, with little discretion on the coaches' part. (The result, incidentally, is that there are way too many instant replays in college football, but I digress.) Were the point of the heightened standard of review to shape coaches' incentives, there'd be no rationale for having it in college. I have two thoughts here. First, I think it's worth pointing out that, just as appellate courts often don't defer to trial courts as much as their doctrines suggest they should, most referees don't truly impose an indisputability standard. If it's genuinely impossible to tell from a replay which team has the better claim, the call on the field will usually be upheld, but there are plenty of cases in which a call is reversed even though it's not completely conclusive that the call on the field was wrong. In practice, it's more like an intermediate standard--something more than de novo review, but something less than true indisputability. Second, I have a different explanation for the heightened standard of review. It has to do with the interrelation between arbitrariness and legal procedure. One of the dirty secrets of football is that a huge number of referees' calls are, to a very large degree, arbitrary. The two best examples are the spotting of the football after a play and penalties. These are, not coincidentally, the two areas in which instant replay can almost never overturn a call, either because the video evidence is so rarely conclusive (in the case of spotting) or because calls are implicitly recognized to be categorically arbitrary and thus not even susceptible to review in the first place (in the case of most penalties). In these cases, review might help at the margin, but won't make the ultimate outcome appreciably less arbitrary, because the calls are so subjective even with perfectly clear video evidence. Other plays where the video evidence is unclear fall into essentially the same category--it's just exceptionally difficult to know what the "correct" call should be. There's a sort of utilitarian reason these calls shouldn't be overturned on the basis of de novo review. Suppose a very close call goes against your team on the field, is challenged, and is upheld because the evidence is inconclusive, even if you think you have a slightly better claim. That's annoying, but you can chalk it up to the ordinary difficulties of making close calls--something all sports fans are used to having to deal with--and at least you don't feel like you got totally ripped off. Plus, your expectations going into the review were tempered, since the call went against you on the field. But suppose instead a very close call goes for your team on the field, is challenged, and is overturned even though the video evidence is inconclusive. That outcome, I think, would cause most fans significantly more anguish than the first scenario described above. In part, this is because of settled expectations--once the call goes for you on the field, you begin to internalize the outcome, and the loss of that benefit exceeds in magnitude the gain in utility you would get by having a marginal call reversed to go in your favor. But perhaps more important, by reversing the outcome, it draws attention to the arbitrariness of the call in the first place. If, after such thorough examination, the call is reversed to go against you even though it's not clear that's the right outcome, you feel cheated in a new way: the exhaustive legal process has affirmatively placed its seal of approval on the arbitrariness. That's something unique, and something most sports fans aren't used to dealing with: the process--not just the outcome--feels unfair in a way it didn't before. Football does well when it successfully masks the arbitrariness of calls. When these calls are made, as they inevitably must be, it's best just to let sleeping dogs lie, grumble, and move on with the game. By attempting to achieve a standard of refereeing perfection that isn't attainable given the nature of the game and the nature of instant replay, the main effect is to heighten the salience of that arbitrariness, in a way that detracts from the confidence football fans have that the game, in the end, is a fair one. Granted, I have no idea whether this consideration was in the minds of the NFL and NCAA powers that be in devising their standards of review. And I have no idea what its implications are for our actual legal system. But I think it's the best justification that can be offered for the heightened standard of replay review in football.